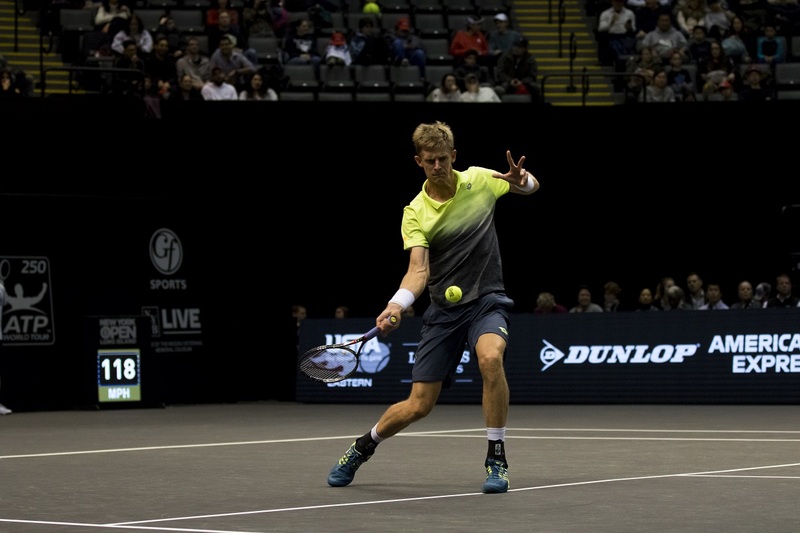 As top-seed Kevin Anderson and second-seed Sam Querrey squared off in the New York Open final on Sunday, the tournament’s finale was sure to be an exciting one. With mirroring styles and Querrey slightly leading the career head-to-head 8-7, there was little doubt that this chapter would go the distance. The two did not disappoint at NYCB LIVE home of the Nassau Veterans Memorial Coliseum as they battled for the championship of the debut tournament. In the end it was Anderson who outlasted Querrey, beating the American 4-6, 6-3, 7-6(1) to win his fourth career title. The first set was uncharacteristic with the players trading breaks of serve as neither could establish themselves early on. But Querrey got the set’s decisive break to go up 4-3, and would promptly serve out the set to seize control. But Anderson would dominate the second set. As his energy picked up so did his movement and he used that to win the first five games of the set and take the double-break lead. Querrey would rattle off three straight games to bring the set closer, but Anderson gutted out one more service game at 5-3 to send the match into a deciding third set. The third set would be more emblematic of the two competitors as both used their booming serves and powerful groundstrokes to hold serve throughout all 12 games, leaving the New York Open championship to be decided in a tiebreak. The tiebreak belonged to Anderson, who won the first six points to create an insurmountable lead. Querrey would fight off one match point, but a crosscourt forehand winner by Anderson on the very next point would seal the deal and cap off his great week on Long Island. 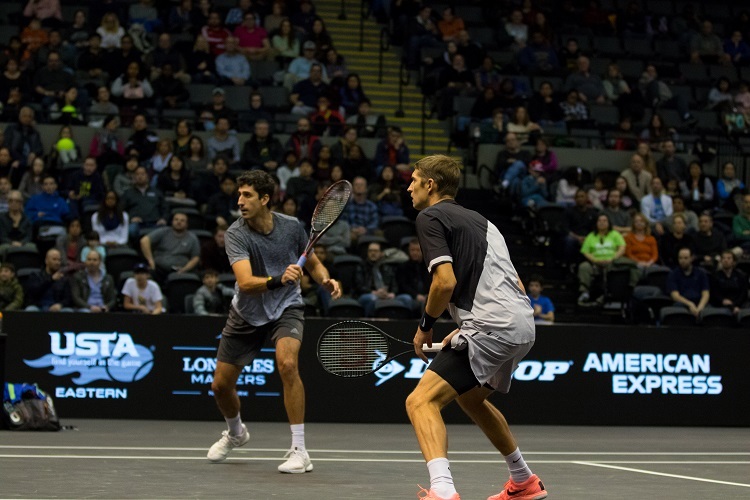 In the doubles final, the second-seeded duo of Max Mirnyi and Philipp Oswald won 6-4, 4-6, 10-6 over Wesley Koolhof and Artem Sitak to claim the first ever New York Open doubles title. Phillip Oswald (left) and Max Mirnyi (right) during the men's doubles final at the New York Open. “I’m obviously also really happy to get the second title with [Mirnyi]. For me it’s like being in university and he’s my teacher," said Oswald. "His experience is unbelievable, he’s such a positive guy and I think I learned a lot already. Mirnyi was playing in the 100th title match, combining both singles and doubles, of his career, and the third while playing with Oswald.